meals and wine and even paying the check. The ecosystem of the restaurant experience is ever evolving. As technology advances, and customer habits grow increasingly impatient, diners are continuously seeking methods to streamline the interactions they may encounter as they search for their next meal. Businesses on the low tech side of the spectrum have begun to reevaluate the restaurant recommendation revolution to drive revenue. While the main source of traffic to new restaurants are derived through word of mouth or favorable mention from friends and family, diners are now embracing a modernized approach when they consider to experiment with a new restaurant experience. In the information age, knowledge and research are vital in making informed decisions. For many smartphone wielders, Yelp is no stranger and has become an essential tool. In Q2 2012, Yelp received traffic of 78 million unique visits, while users contribute 30 million reviews. Of these reviews 23% consist of restaurants. The research phase continues with a wide array of websites and apps that have painstakingly collected, organized, and made available large catalogs of menus from surrounding restaurants. 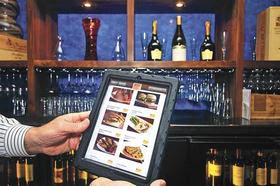 MenuPages collect and update thousands of menus (monthly) from nearly 30,000 restaurants in eight major markets. The interface is clean and simple while provides filters such as neighborhoods, price ranges, take out and list of other features. MenuPages also features the option to order directly through Seamless, the largest online food ordering company. While the majority of restaurants accept walk-ins, operating the back of house becomes much less of a wild card if patrons develop the habit of making reservations before they dine. Digital reservation services, such as OpenTable, have streamlined the process to book your table for available time slots. A one-two combination partnership with Yelp, OpenTable is the reigning champion in the digital reservation service for restaurants. Having grown their customer base to over 13,000 restaurants in 50 states and multiple countries, it is hard to imagine there would be an emerging challenger. SeatMe, a San Francisco startup, has begun to step up to the plate and take a bite of that market share. SeatMe allows management of reservations, guests, and staff floor plans straight from a tablet or smart device. SeatMe’s guestbook also tracks unique schedules, performances, and tastes with nice design, easy usability, and good integration. SeatMe does not provide a stark distinction from OpenTable, but there are a host of differences as an alternative to look out for. The inaction of waiting in line to be seated has even taken a turn for the tech as select restaurants have adopted a waiting list management system. NoWait is a Pittsburgh based startup that has developed an iPad app where customers may leave a name and number with the front of house, or host, and opt into receiving a text message when their table is ready. Customers can also check their status in line through a provided link via text message where they can access, “What’s My Place”, in the line. Acceptance of the NoWait system ideally organizes hosting duties in a manner where customers can inquire where there their position is in line without inundating the host or hostess with line status updates. Once seated, the item selection has also stepped in to the technology retrofit. Restaurants are opting to do away with physical paper menus with tablet and smart device interfaces. Plate replaces a paper wine list or entire menu with a software format displayed on tablets. These “smart menus” are fully customizable to restaurants that have adopted the Plate platform, and can display notes, photos, and even pairings of particular wines to food items. Plate reports that with a few extra minutes playing with the menu can increase a diner’s order by 10-15%. For restaurants with a budget and cannot afford to distribute upwards of 10 tablets at any given time, SecondMenu offers a similar experience. Instead SecondMenu presents a restaurant's menu through the diner’s own smartphone. The SecondMenu web app is not activated via native apps which must be downloaded from an app store; rather it is through visiting secondmenu.com/restaurantsname or more easily in the form of a QR code. 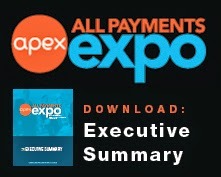 Alternative payment methods have also managed to make its mark in efforts to accelerate the checkout process. 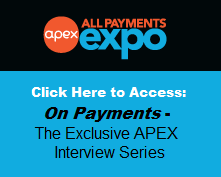 With increasing support for NFC, or Near Field Communication, customers can simply tap their smart devices or use an app to pay using Google Wallet, PayPal, LevelUp, Square, or a slew of emerging payment services. Experimentation with BitCoin has also been recorded, in such with a restaurant in Berlin. Room 77, located in Berlin, serves Southwestern American fare, from burgers to burritos. The decors of the restaurant are reflections of a Texan steakhouse that we are all familiar with. There are a wide array of tools and new technology to incorporate in order to excite customers, while also differentiating your restaurant from conventional competitors. Adopting new methods to streamline management, or keep customers engaged, can improve the overall dining experience for patrons as well as the staff.